Custom postcard bundles are finally here! 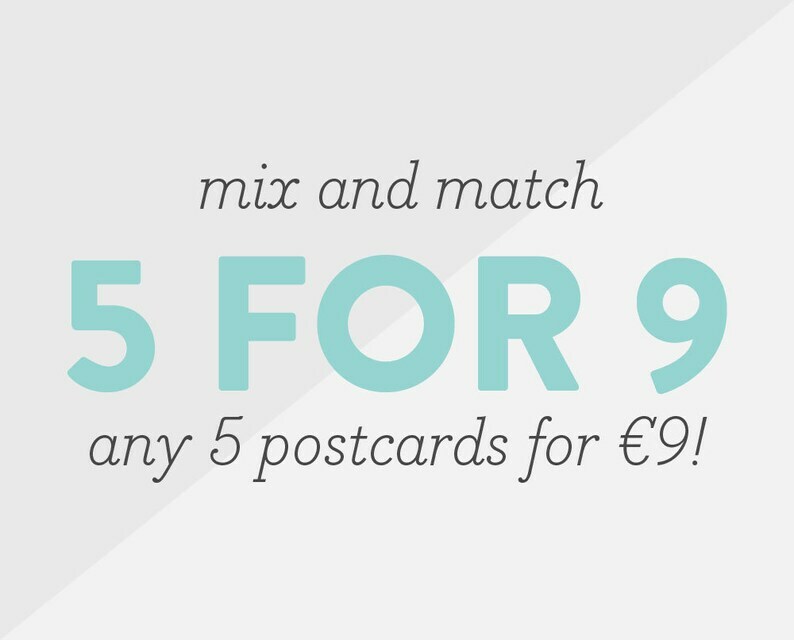 Mix and match any 5 postcards of your choice for €9. Purchase this listing to get discounted price. Indicate at checkout which 5 postcards you would like in the optional note to seller section by writing the name of the cards or copy/pasting the listing links. This bundle is for our flat postcards, not folded greeting cards. This bundle is for physical postcards, not instant downloads.